Mann Electrical Services is the trading name of H.R. Mann Ltd., Electrical Engineers and Contractors. The company was established at Royal Leamington Spa in 1946 and the Northampton Office was opened in 1972. In 1997 H.R. Mann Ltd. was acquired by the Morgan Bennett Group and the Company’s trading name duly altered to Mann Electrical Services. Mann Electrical Services are firmly committed to the policy of providing services of the highest standard at competitive prices. In pursuance of this policy, the company has a documented quality control system for the “production, installation and final inspection and test of electrical installations”, to the I.E.E. wiring regulations. Mann Electrical Services operates from its Northampton offices throughout the Midlands and further afield on a number of projects. With over 50 years of experience, the Company has a wealth of specialist installation knowledge and expertise. Installations carried out include large industrial projects, offices, residential homes, hospital projects, universities, colleges and schools, fast-track projects and premise refurbishments. Size and type of installation are not important to us, only the client. With over 50 years of experience and a dedicated workforce, the quality of our installations is guaranteed. The Company is an active member of the Electrical Contractors Association and supports their continual training programme. Training of our apprentices is controlled and monitored with the support of the J.I.B. and J.T.L. The Company’s future relies on a trained and committed workforce. Mann Electrical Services were one of the first electrical contractors in the Midlands to obtain NICEIC registration in 1957. All Mann Electrical Services projects are carried out with quality as standard. Mann Electrical Services is NICEIC approved, enrolment No: 321. NICEIC enrolment was achieved on the 1 January 1957. The NICEIC roll of approved electrical installation contractors and conforming bodies is a national register of the names, addresses and telephone numbers of businesses and Organizations in the United Kingdom who undertake electrical installation work and who have been designated ‘Approved’ by the NICEIC. All approved contractors are regularly inspected to ensure that they comply with the NICEIC’s rules and meet the national electrical standards for the industry. The NICEIC is a non-profit making Organization, set up in 1956 to protect consumers against someone turning your house/business into an electrical minefield. This can be minimized in one sure and simple way. Make sure the electrical contractor you choose is NICEIC approved. 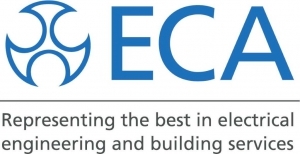 The Electrical Contractors’ Association (ECA) was founded in 1901. Its member firms range from local employers with only a few employees to national multi-service companies with many branches employing thousands of personnel – many operating worldwide. ECA members employ over 30,000 people and support 8,000 apprentices in their craft training. They dominate this sector in the UK with a collective annual turnover approaching £3 billions per annum. From plugs to power stations, from fibre optics to factories, the ECA represents the best in all sectors of the industry. It assists and encourages its members to provide high quality, good value and safe electrical installation. The board of directors of Mann Electric Services (HR Mann Ltd) recognize our responsibility to ensure, so far as reasonably possible, the health, safety and welfare of all employees. It is our continuing aim to promote and maintain a high level of safety, to minimize personal injury and to safeguard the health of our employees and other persons who may be affected by our activities. Due regard is paid to all statutory requirements, and to this end, a safety manual has been produced which is periodically revised and amended to comply with any new legislation, Codes of Practice, Guidance Notes etc. In addition, all company activities comply with the standards set out in the latest edition of the regulations issued by the Institute of Electrical Engineers. A copy of our health and safety policy can be provided on request. With over 50 years of experience and a dedicated workforce, the quality of our installations is guaranteed.